Top models Anna Ewers + Edie Campbell are styled by George Cortina in ‘Great Explorations in Kenya’, lensed by Mikael Jansson for WSJ Magazine June 2016. 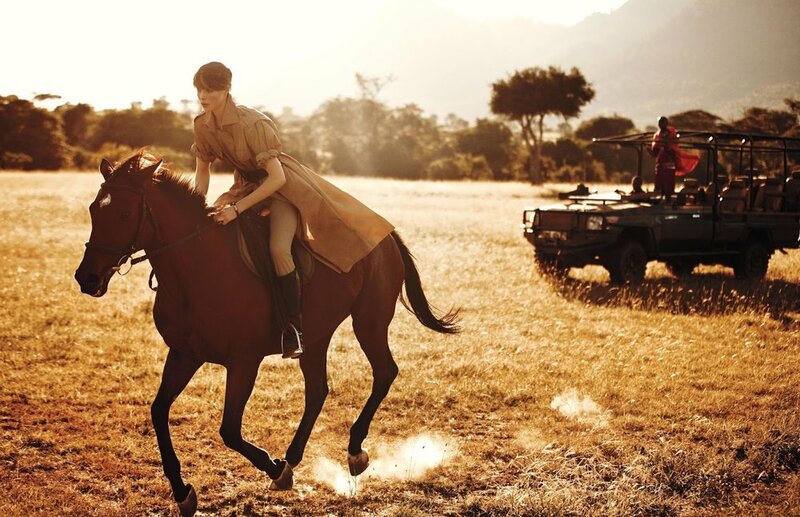 The shoot took place at Cottar’s 1920s Camp in Kenya, a private conservancy with an innovative approach to protecting the area’s natural biodiversity, wrote Tom Downey for WSJ Magazine. Located in a corner of Kenya, just southeast of the Maasai Mara National Reserve, the camp has a comparatively unique history. Calvin Cottar is one of East Africa's most renowned private guides and part of a family has been running safaris in Kenya for 90 years. Unlike the vast majority of white safari operators in Africa, the Cottar family did not settle in Africa as Europeans. Calvin’s great-grandfather Chas Cottar moved to Kenya from Oklahoma after reading Teddy Roosevelt’s book ‘Game Trails of Africa’ in 1909. In 1919 the elder Cottar set up his own safari outfitting and guiding business "Cottars Safari Service," the oldest safari outfitting company in Africa. Ninety years later, 4th generation Kenyan, Calvin Cottar and his family seek to replicate those historic, legendary experiences with modern updates. Being committed to writing with clear heads about Africa at GlamTribal and Anne of Carversville, we are making every effort to spend even more hours writing about the intersections of people and animals in Africa and not only the perils of poaching. Cottar’s Camp looks down across the valley toward grasslands that stretch into Tanzania’s Serengeti plains, just a few miles away. (See it on the map at the very southern point in green). Baboons and monkeys mix with antelopes and zebras—as well as a tiny, orphaned Thomson’s gazelle (christened Bambi) being raised by a Maasai named Charles. Cottar continues his Western education of international visitors about nature parks and concessions in Kenya. In 1998 he built this permanent camp on a small concession obtained with the permission of the Maasai, whose population has doubled in Kenya over the past 30 years. 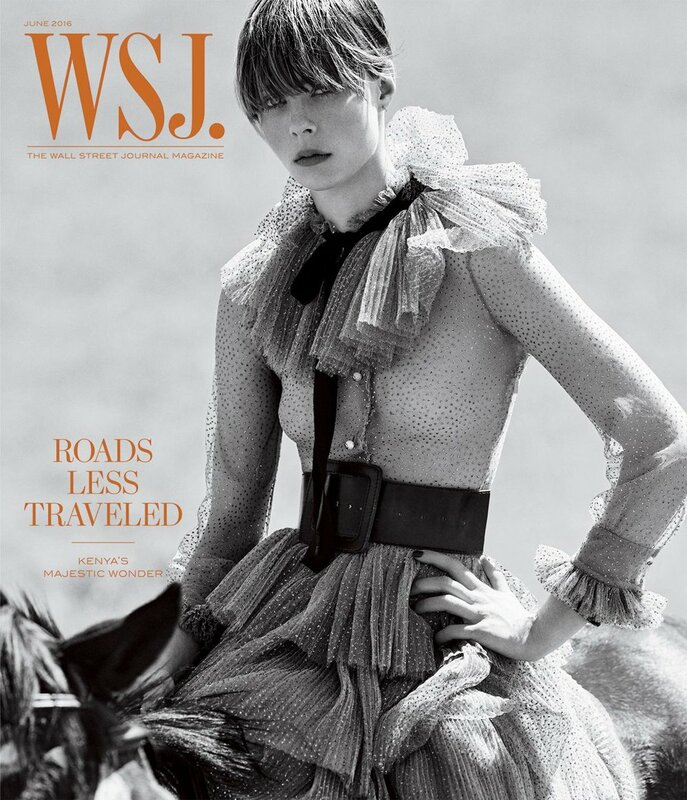 At the time of his WSJ Magazine interview, Cottar concluded a long-time negotiation a group of Maasai who own and inhabit the land around his camp. The Maasai want to be closer to town and Cottar wants wildlife, not cattle, on the land. Calvin Cottar has a January 2019 update on this challenge of how to secure the future of Africa’s Wildlife. After researching it and related materials, AOC will offer our own summary of the situation around Cottar’s international vision for wildlife management in Kenya and beyond.